Dubai International Airport is the world’s busiest international passenger traffic airport. It is an ultra-modern facility featuring many amenities. More than 83 million passengers utilized the airport in 2016 and projected passenger growth sees increases every year. A big part of this is due to the popularity of Emirates, a global leader in the airline world, and flydubai, a low-cost regional airline. Both airlines have their headquarters and main operations at the airport. 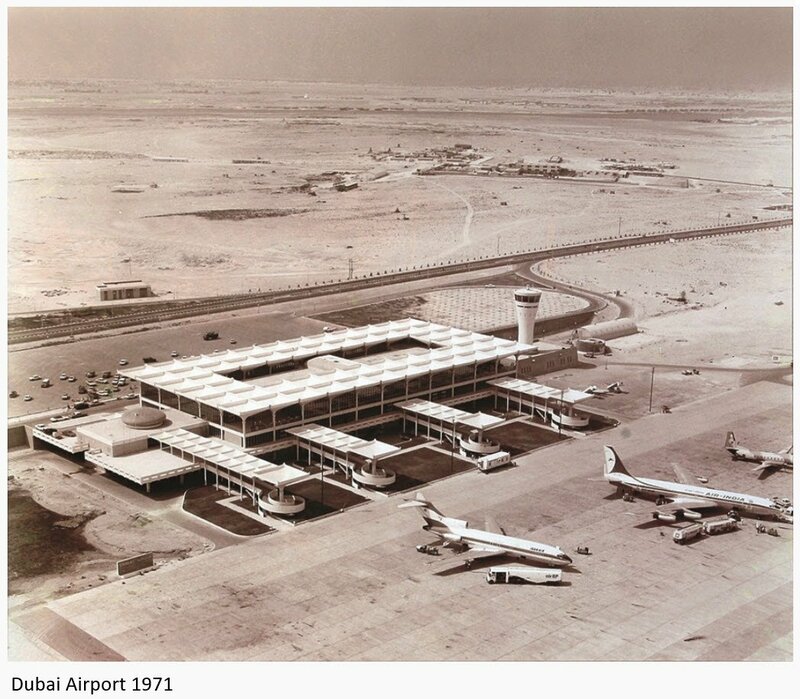 Dubai International began life as sandy runway in the United Arab Emirates emirate of Dubai in 1959. Sheikh Rashid bin Saeed Al Maktoum, Dubai’s ruler at the time ordered the construction of an airport. The original airport had a 5,900-foot compacted sand runway and a small terminal. The airport was capable of handling service with small passenger aircraft such as the Douglas DC-3 and de Havilland Heron. Construction on a longer 9,200-foot asphalt runway commenced in 1963 to accommodate jet aircraft. The runway was lengthened again in the early 1970’s to 12,500 feet to accommodate the Boeing 747 and the Concorde. Construction seems to be a constant at this airport. New terminal buildings and a second runway were built before major growth occurred in the early 2000’s. In the 2010’s, new terminals were built and existing ones were expanded. Dubai Airports Company currently manages the airport. 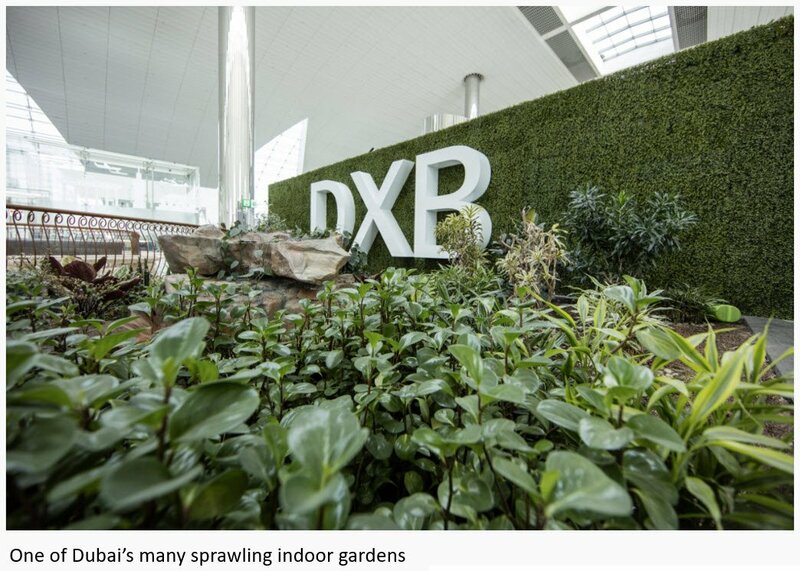 It was created in 2008 by the emirate to manage the airport facilities and the emirate’s other air facilities. Projects have included increasing the size of the terminal facility from one lounge-like building built in the 1970s to three large, efficient, and modern terminals. 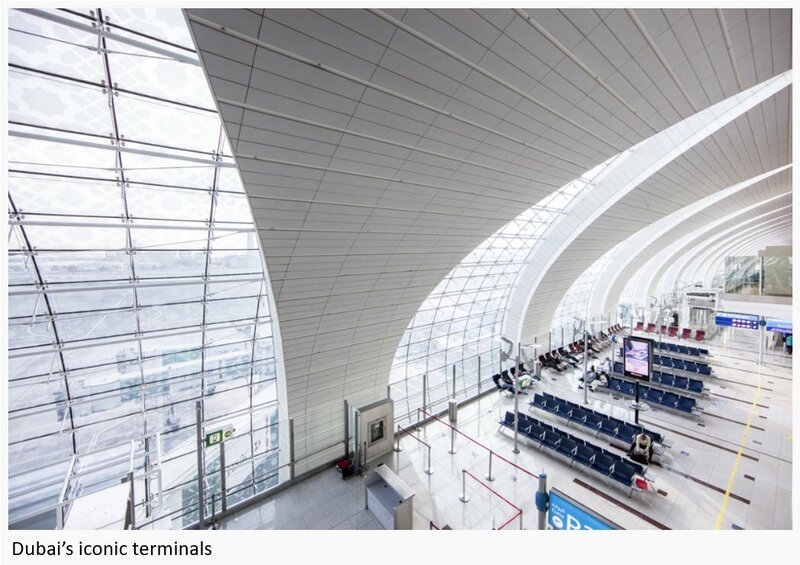 Terminal 3, was built specifically to handle the Airbus A380. Emirates and flydubai are the largest carriers operating at Dubai International. Emirates flights stretch to all of the major business destinations in the world. One of its major selling points is that Dubai International is in a perfect location to be “the crossroads of the world.” It currently has over 3,600 flights, many utilizing the Airbus A380, per week from the airport. The low-cost carrier flydubai is another major player operating flights to over 90 destinations in Europe, the Middle East, and India. Air India, Air India Express, IndiGo, and SpiceJet come next in passenger volume and operate to many cities in India. Several destinations within Iran are served by the Iranian carriers Iran Air, Iran Aseman, Kish Air, Mahan Air, Qeshm, and Taban Air. 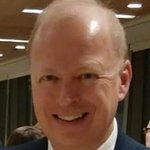 Major global carriers include Aeroflot, Air Canada, Air China, Air France, British, Cathay Pacific, KLM, Lufthansa, Swiss International, Turkish, and Virgin Atlantic. Dubai International’s terminals are a delight for passengers. The terminals are new, spacious, and ultra-modern. Every detail has been thought through to make the airport the best in the world. Originating, terminating, and transiting passengers have access to a whole collection of shops, cafes, restaurants, spas, showers, lounges, prayer rooms, Zen gardens, and special VIP services. The airport operates 24 hours each day and a passenger connecting through the airport may spend time exploring at any hour. UAE residents returning from a trip may use the new innovative express passport control that speeds a user through. In closing, Dubai International Airport has quite a lot going for it. It has a rich history and a devoted organization to keep it the best passenger experience.